Hooner Kelah address the multiple disadvantages faced by South Asian women aged 16 and above. 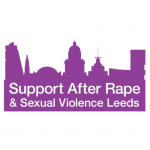 The project particularly targets women living in Beeston in the South of Leeds and those women living in Harehills in the East of Leeds, two of the most deprived areas of Leeds. The project operates from the Hamara Centre in Beeston. Engaging with disadvantaged women from minority/ethnic backgrounds to overcome barriers they may face in accessing culturally appropriate opportunities. To identify future progression into training and employment through. Our mission is to promote the social inclusion of women from any minority/ethnic background by providing them with culturally appropriate support and services which will enable them to engage in education, learning, and skills development and promote integration into the society.